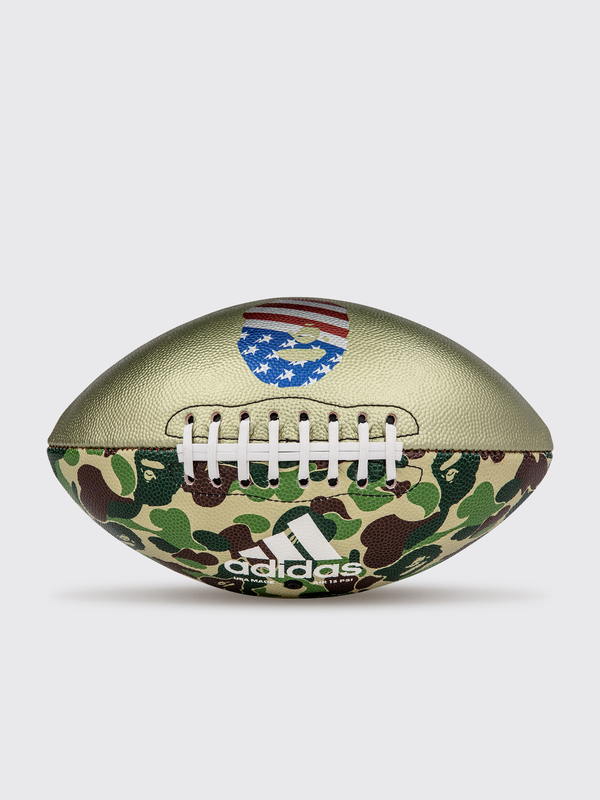 Football from adidas by BAPE. Hand made in Texas from leather using a chain stitched construction. 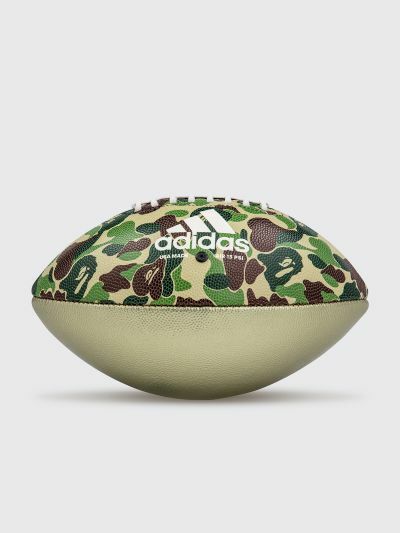 Camo printed and gold colored panels with red, blue and white BAPE logo and gold Adidas logo. Features a reinforced rubber lining. 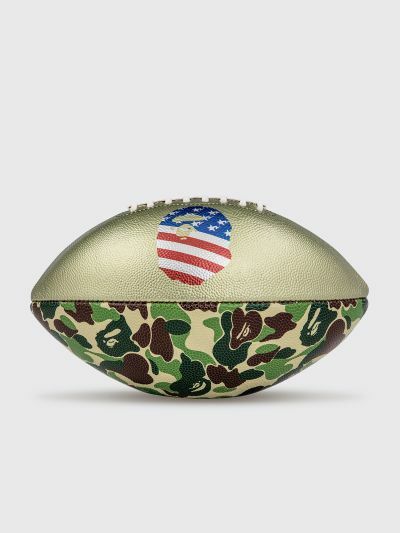 Green and gold colored football. Outer made from leather. Inner made from rubber.